Do you love food and want to engage in participatory learning through cooking? Do you wish your community had more opportunities to share knowledge of food and cooking? Do you want your neighborhood to have cooking classes that build literacy skills? The Culinary Literacy Center rings in spring with a unique opportunity for Philadelphians who are interested in teaching community-based cooking classes. 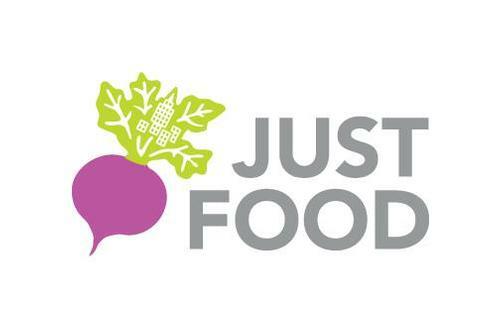 Through a partnership with Just Food, attendees will participate in a four-day training that covers topics from strategies and techniques grounded in popular education, to how to facilitate engaging and culturally appropriate cooking demonstrations. We'll also share how the Free Library is advancing literacy through cooking, how we define Culinary Literacy, and how to pitch an idea for a program to the Culinary Literacy Center. This class will be dynamic and exciting, bringing together participants from across the city who are committed to community food education. After completing the class, attendees will be prepared to lead cooking classes in their communities. Learn teaching strategies and training techniques grounded in popular education that strengthens facilitation, workshop planning, and community engagement skills. Learn how to facilitate engaging and culturally appropriate workshops and cooking demonstrations about basic nutrition, seasonal eating, fruit and vegetable identification, recipe selection and creation, and knife skills, as well as food storage and preparation. This training is free and limited to 20 participants. Applicants must commit to attending all four days of training. Fill out the training application today and email to kitchen@freelibrary.org or drop them off at the Business Resource and Innovation Center (BRIC) at Parkway Central Library. Applications will be accepted through Wednesday, March 8, 2017. Questions? Call Suzanna at 215-686-5323. Join us at the Culinary Literacy Center for Just Food trainings! I would like to participate in your cooking classes. I hope it's not to late. I learned of this great resource/learning opportunity while participating in a program on February 28 at the Wynnefield Branch. i am very enthusiastic to enroll and complete full course.